Oh my! Just when you thought a facial couldn’t be any more of a luxury, Blue water Day Spa has launched the 24K Gold Senses Facial Treatment to usher in the Prosperous Chinese New Year! 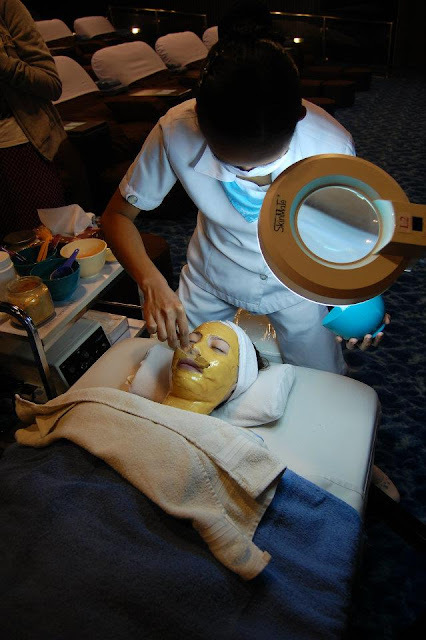 So when I was invited to sample a 24k gold facial at the Blue Water Day Spa, I went out on a whim and tried it. 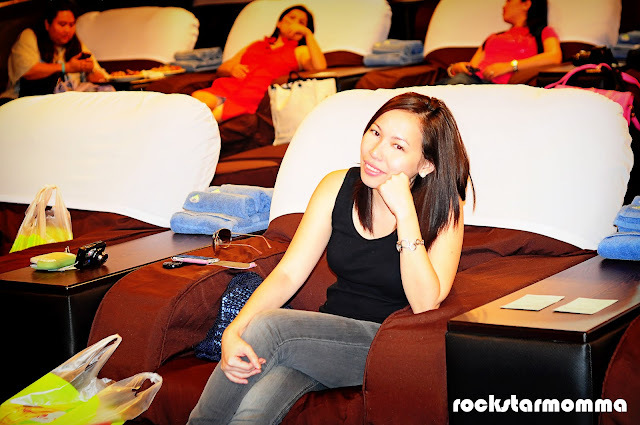 The spa theater is the place where movies, massage and manicures meet. We were watching Real Steel while having a relaxing foot massage. 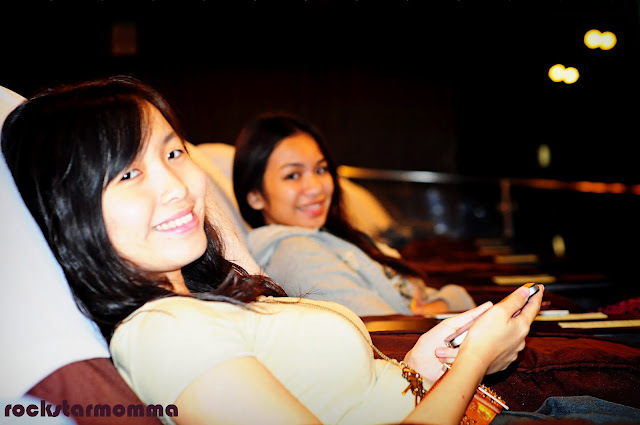 Just thinking of how comfy and relaxing that lazy boy leather-seat sofa was, makes me want to come back already. It's also a great place for sparties(spa parties), baby showers, bridal showers, and a lot more. 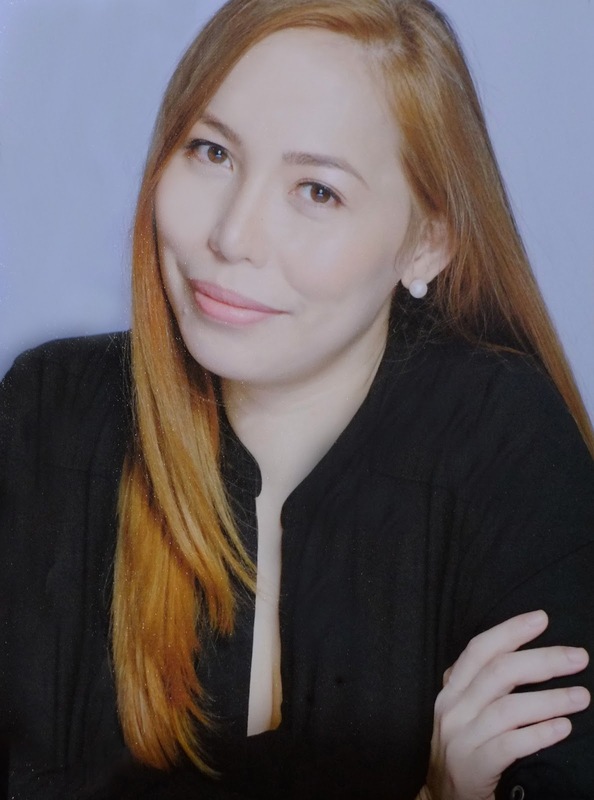 Founded in 2005, Blue Water Day Spa continues to expand and lead the way in promoting a healthy lifestyle for people in the Philippines. Every year, they introduce new and unique treatments with health benefits for their clients. 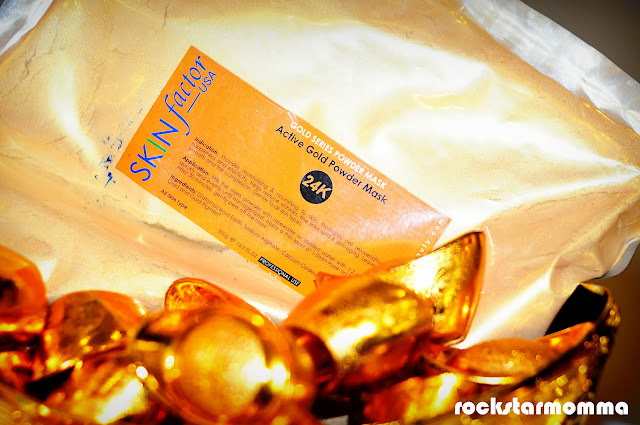 Another breakthrough from BlueWater Day Spa's innovative skin care advancements, 24K Gold Senses Facial Treatment gently applies 24K Active Gold Powder Mask to the face. When we say “gold,” we usually think of gold jewelry as the only way to glitter and make heads turn. The good news is, you can now improve your skin and bring out your beauty with the help of the 24K Facial Treatment from BlueWater Day Spa! Yesterday, I discovered Cleopatra's secret to beautiful skin and unveiled the power of GOLD! Historians believed that something so rare and beautiful must possess healing properties, which is why gold was taken both internally and externally. This anti-aging benefits of gold dates back 5000 years to the time of Cleopatra who was believed to maintain her youthful beauty by sleeping in a gold face mask each night to keep her skin youthful, looking firmed, toned, supple with a healthy glow. The benefits of this treatment are as follows: delays the natural signs of aging - such as minimizing fine lines, wrinkles and sagging skin; minimizing pores; rejuvenates the surface layer of skin by accelerating cell renewal; reverse oxidation damage; enhances skin’s elasticity; increases blood circulation giving your skin luminous radiance; facilitates the removal of toxins and waste and assists in lymphatic drainage; and slows down melanin production for prevention of dark spots on skin. 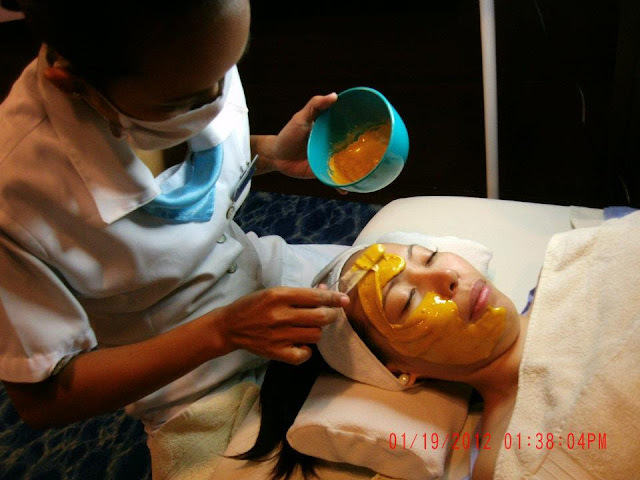 The 24K Gold facial started off with deep cleansing of my face to prep the skin. After that, it is followed by the usual facial treatment which includes facial massage, exfoliation, a quick steam, pricking, the works. Now meet Margie, the therapist. 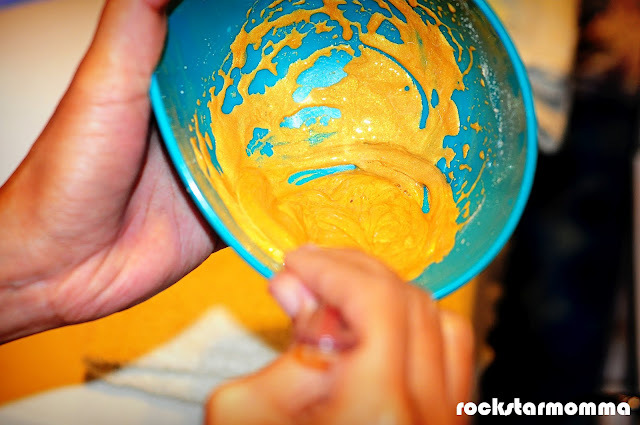 She applied a thick layer of 24K Active Gold Powder Mask to my face. It was thick but as light as a feather. NO! I wasn NOT smiling.. AT ALL! weh?! I tried though! :) Thanks Manette for this pic. But it is important that you keep still so your mask won't create lines and small bumps in between. So yeah, bawal ngumiti ha, and that moment of stillness put me into a deep state of relaxation and utter bliss. The feeling was so good during and after the application because the mask was real cold and comforting all throughout. It's like the cucumber treatment I put on my eyes to lighten up my eyebags. 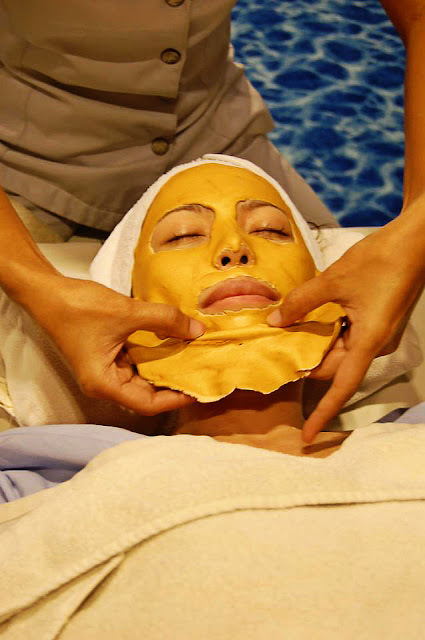 The facial concluded with the application of toner for deep moisturizing and protection. I even had a few flakes of gold sparkling and glittering around my face and hairline after having my face delicately garnished in 24k gold. Freshness lang! No makeup look! After the 24k gold facial treatment, I felt so bling bling. I'm not a big fan of gold, but after this treatment, I had a newfound respect for gold. Seriously, it's all a girl ever needs! 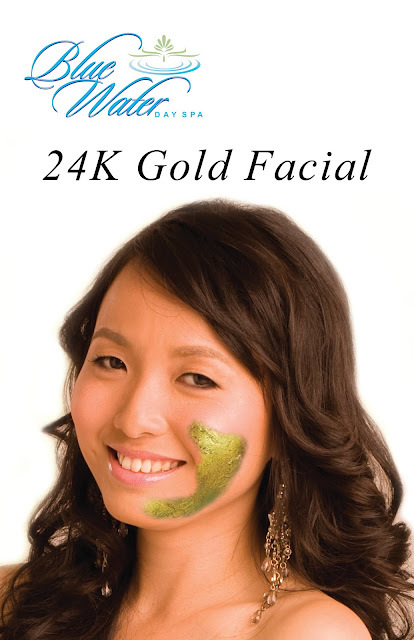 The 24k Gold facial treatment usually takes almost an hour and you can have this treatment twice a month. Do not wash your face using hot water. Cold and lukewarm water will do. Do not visit the steam room or sauna. More intense heat is just going to strip off your just paid-for golden glow. Do not wash your face after facial or better yet, don't freaking touch your face. You can do that after 12 hours or so. Do not use retinoids after application. Retinoids or products with Retin A is a recipe for redness and your face will just look like a really red tomato if you apply after treatment. Do not apply makeup. Okay, fine you can apply face powder but why not go Au naturel. Au stands for gold right? Remember, ladies, you can be beautiful even without makeup. Natural beauty it is! Oh and wearing makeup everyday is not cute! Alamoyan. Actually, I have inadvertently done some of the Don'ts here because I tend to forget A LOT! So if ever I miss something, let me know. Remember, ignorance is not spa bliss. And if you ask me if it is worth the price? Uhmm.. absolutely yes! They also have 50% discount this month and THAT is a golden opportunity YOU shouldn't miss! The original price for the 24k gold facial is PhP2000 and now with their 50% discount, they slashed it off to 1 freaking thousand! Loved it! 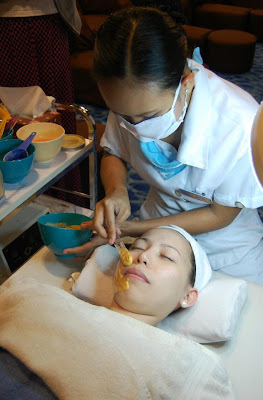 :D For the chin and neck area, it's PhP1500 per area. They said if there's a part of a face that is first honorable mention and best in sagging, that would be the chin, and the neck a close second. Believe it or not, they are the first to show the signs of aging because they have fewer oil glands than the rest of your body, yet most of us ignore them. So would I try it again? Heck yeah, I would! Gear for V-day with a gorgeous golden glow with a 24-Karat Gold Facial and who knows, your honey might give you that 24k gold ring you've been longing for! I really wanna go back soon and look for Margie and then ask her, "Oh Margie! Would you be so kind to straddle my back and give me the massage of my life?" :) 'Cause I'm pretty sure she'll hit the spot! 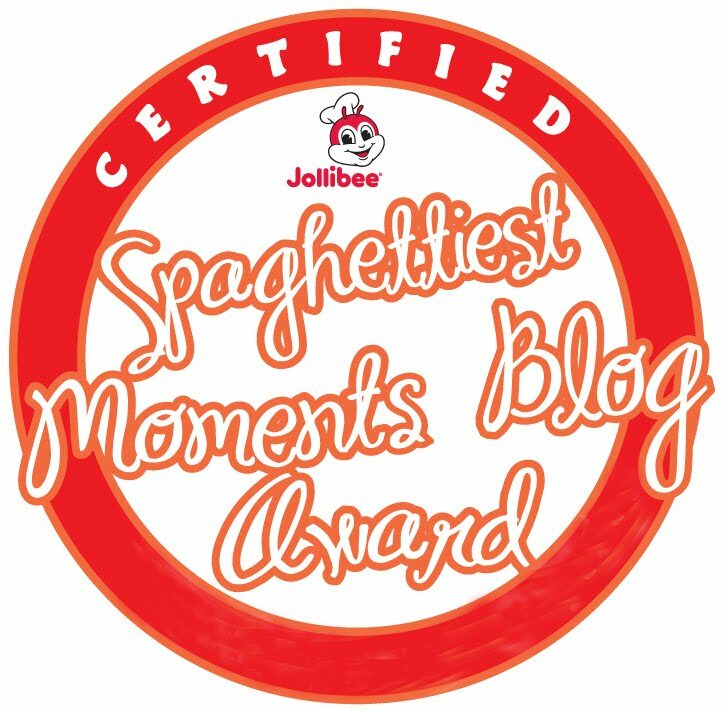 Their branches are located at strategic parts of Metro Manila: Ortigas-Greenhills (7278420), Makati (8175455), Capitol Hills (9524829), Eastwood City (9151247) and Tomas Morato (7945036). Opening soon in Cotabato City. 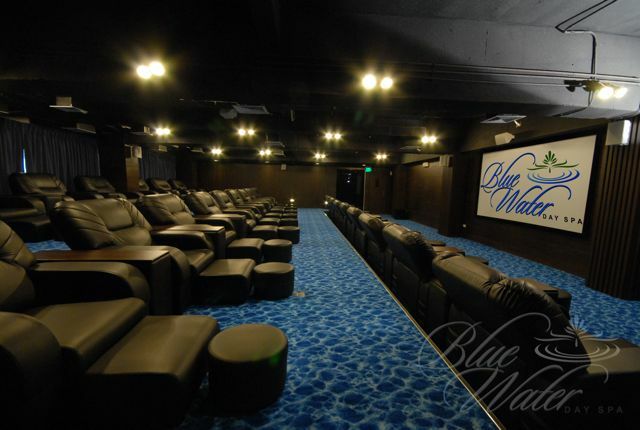 To know more about Blue Water Day Spa,log on to www.bluewaterdayspa.com. Like them on Facebook HERE! 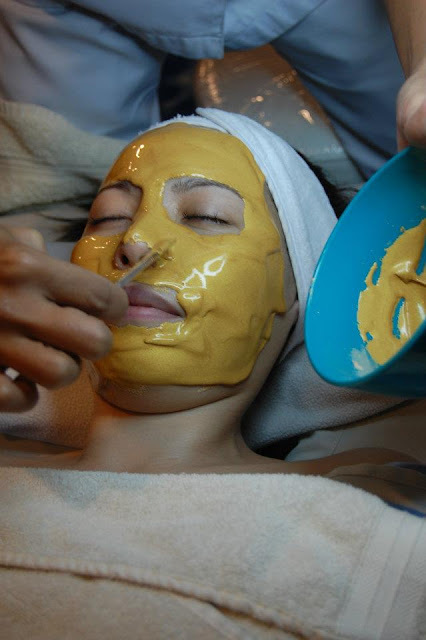 Gold facial! Wow. I'd like to give that a try.